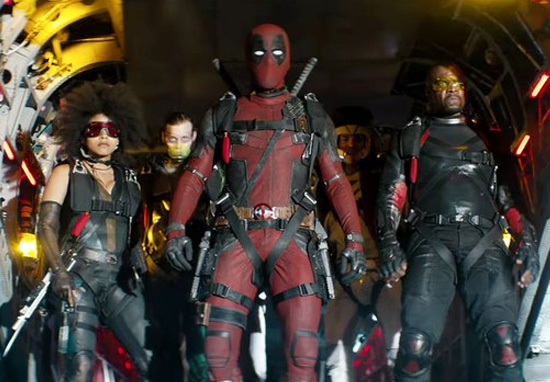 With Deadpool 2’s release growing closer, it seems we can’t go a day without some form of hilarious stunt from the Merc With a Mouth actor, Ryan Reynolds. After trolling Hugh Jackman, as well as his own wife, Blake Lively, Reynolds decided to play some more tricks, this time, on England’s beloved former-footballer, Mr Goldenballs himself, David Beckham. 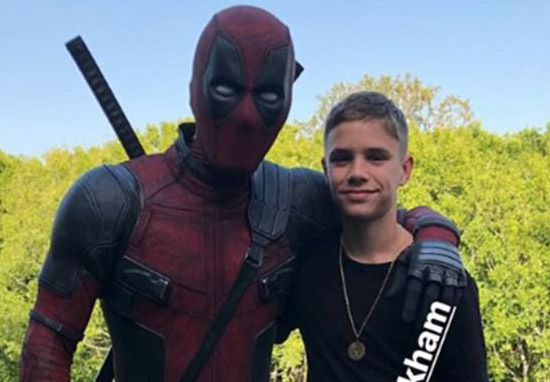 On Thursday (May 10), Reynolds tweeted a new video featuring the ex-Manchester United star, who, as fans will remember, is the subject of a pretty harsh dig in the first Deadpool movie. Following the tweet, which was an instant hit with fans, David Beckham has revealed he’s finally forgiven the foul-mouthed anti-superhero, for being accused of having a voice which sounded ‘like a mouth-sexed can of helium’. 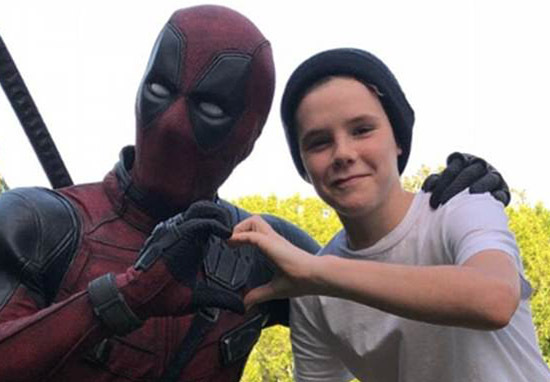 Proving there’s no bad blood between him and Reynolds’ alter-ego, Deadpool, Becks took a handful of humorous selfies alongside the costumed star. Not forgetting his little one’s, three of his children managed to get in on the action too, with six-year-old Harper, 13-year-old Cruz and 15-year-old Romeo all posing for photos too. Yesterday (May 11) on his Instagram Stories, Beckham shared the snaps, perhaps one of the funniest featuring his daughter Harper, who threw a playful punch at the actor’s face. The others consisted of Romeo, who stood happily posing with Reynolds, while Cruz was beaming as he made a sweetheart sign with the Hollywood celebrity. Not forgetting David’s pic, he posed in a rather cheeky manner with the Marvel star, holding onto his leg around his waist while softly placing his hand on the actor’s head. 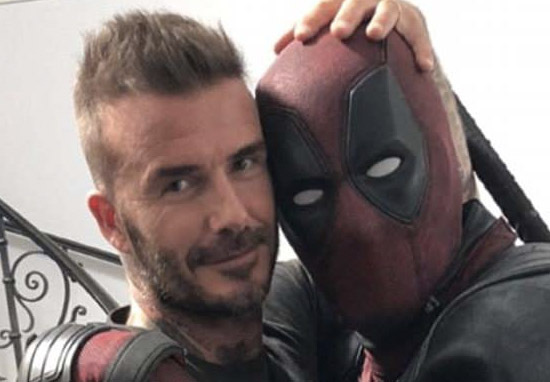 Deadpool and David Beckham together in one photo, what more could you want while you’re awaiting the release of the second film! 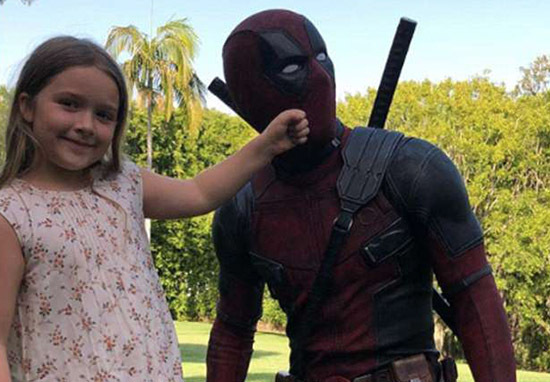 Now, if you’ve not been keeping up with your celebrity news for the past couple of days and wonder where all this has stemmed from, cast your minds back to the first film, Deadpool. Blind Al: Looks aren’t everything. 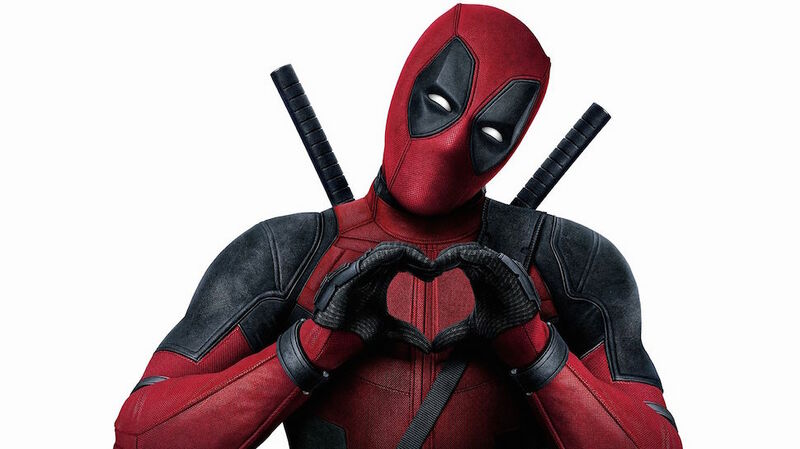 Deadpool: Looks ARE everything! Ever heard David Beckham speak? It’s like he mouth-sexed a can of helium. You think Ryan Reynolds got this far on a superior acting method? So, in fear of not wanting to annoy any potential audience members, including fans of David Beckham – and David himself – another video emerged. This time, in the latest bit of viral marketing from the Deadpool team, we see the fearless anti-hero turn up at Beckham’s door desperately trying to apologise. At the end of video, the former England captain says: ‘I can’t stay mad at you’ and pulls Deadpool into a warm embrace. Amusingly, Beckham pulls away and questions what the character was apologising for anyway. Genius! Roll on Deadpool 2!